I fell down the stairs on Friday the 13th. Thank you to everyone who helped make me feel better after I whined about it on Twitter. Nope I don't call 911, I tweet! Just kidding - I was alone with the kids and had to vent about it somewhere, Twitter is my outlet. It wasn't bad enough to call 911, trust me I'm not that stubborn. Yes, it was Friday the 13th but that's not why I fell. I don't really believe in all that Friday the 13th superstitious mumbo-jumbo. My grandmother was very superstitious though. She had all kinds of lucky nick knacks around her house, she once got mad at me for opening an umbrella in her house and believed snakes and black cats were bad luck. It was a total coincident that this happened because I was having an awesome day before that! I was exhausted as I slept poorly most of this week - it usually hits me on Friday afternoons. You can't wear socks on the stairs of my house, wear slippers with grips or bare foot and for heaven's sake be careful! We have these evil blunt hardwood stairs and when I say evil I mean it. 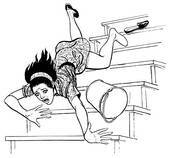 I was coming down from the washroom just before serving the kids their plates for dinner (which I prepared before I went upstairs), my feet just slipped out from under me and I slammed down onto the last four steps landing on the floor in a fetal position. I could not catch my breath for a moment as my kids are asking me if I'm OK. I finally catch my breath and start bawling like a baby. Asked the kids to just be quiet for a minute and let mommy make sure she was OK. It didn't feel like anything was broken but it sure as heck hurt! I got myself back to my feet and composed myself, my whole body was in shock from it all. My blood pressure dropped and I started to feel shaky. I am thankful I have an older kids and this did not happen with babies in the house. K was so helpful beyond words, she took her brother into the dining room and gave him the plate I had already prepared before I fell. She got her own plate and they sat and ate together. 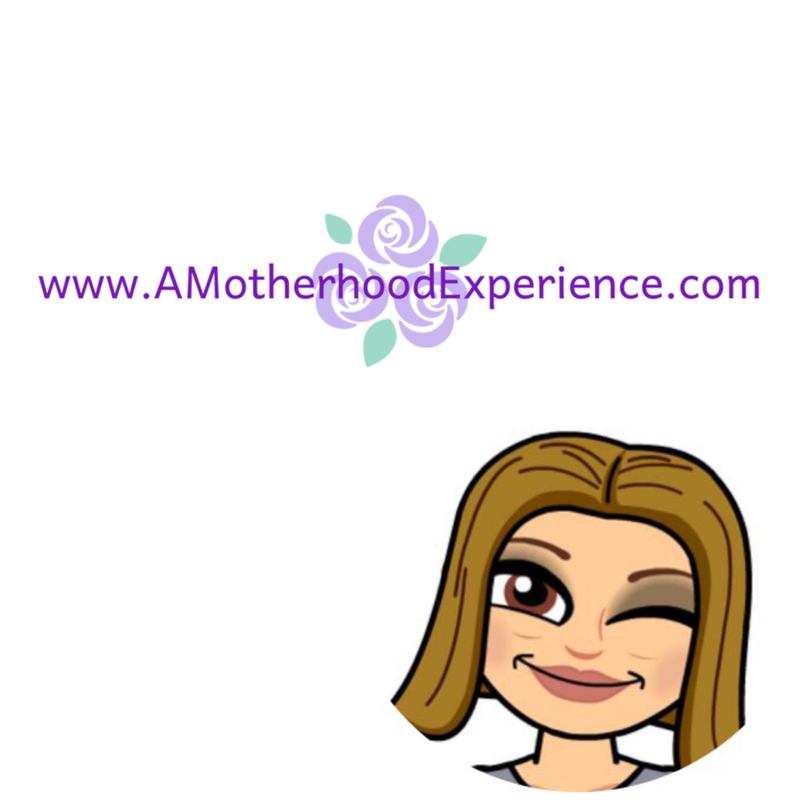 This gave me a minute to breathe and text hubby to let him know what just happened and that I'm OK. No, he wouldn't be home at the time, these things always happen when he is not here. When I fell I tried bracing myself with my right arm so it was bruised and swollen from my wrist to my elbow on one side. My left side of rib cage at the back hit the stairs on the way down too, also bruised along with my left shoulder. It's as painful as it sounds. I set quite the example of why mommy says to be careful on the stairs! See, I'm not a nag it's for their own good! This isn't the first time I have fallen but it's the first time I've hurt myself and it has scared me to the point I want hubby to put some sort of runner or something on the stairs. If I had fallen on my bad hip I would definitely have had to go to the hospital no doubt. The kids have been lucky to only fall and not hurt themselves in the process but what if one day they do? We are asking for it not having it better fixed. Of course for that we have to call our property manager and either get them to do it or get a letter saying we can do it since we rent and then it comes out of our pockets but its for safety which should be included I think. Hassles upon hassles. I'm hoping the pain resides before Sunday because I have to be at Church with the entire family (in laws and parents etc included) for K's first communion. After that everyone is supposed to come here for a BBQ in the back yard if the weather is nice. That will be nice, me helping hubby host the family at our place, walking around like a little old lady. It was feeling better after I took a hot shower but I also took a Motrin to ease the pain and also applied ice to ease the swelling. Motrin will be my best friend this weekend! We have the same falling style! Disclosure: Posted by AME based on actual events. Rants and comments in this post are those of AME. 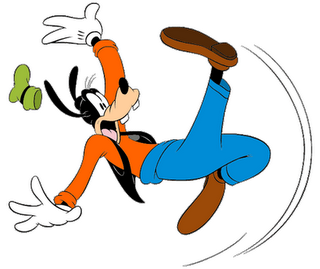 Falling lady and goofy images via Google. oh my gosh girl!!!! are you ok?! Sounds like a nasty fall! Hope your injuries heal quickly! !